Black mercury fillings are simply substandard care for any patient. 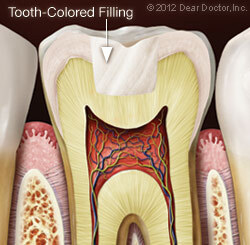 Most patients prefer the advances in tooth-colored fillings. While aesthetically, tooth colored fillings are undisputedly superior, the health benefits of this type of restoration far exceed the alternative of amalgam fillings. 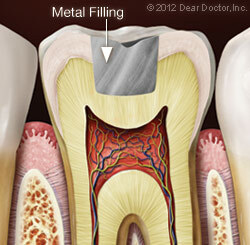 Amalgam or mercury fillings expand and contract with heat and cold. This causes cracks and fractures in teeth over time. As the metal filling shrinks, it pulls away from tooth causing micro-leakage of bacteria to get in between the tooth and filling where a patient cannot normally clean. 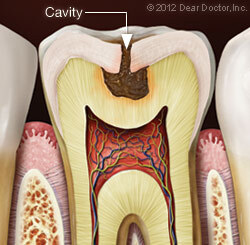 This is where decay can be hard to detect and can fester under the existing filling that is failing to do it's job. Tooth colored fillings expand and contract much less than amalgam, reducing the possibility of fractures within the tooth that cannot be seen visually. When there is any kind of leakage it is easier to see on radiographs and visually around the tooth-colored restoration.